MATT MACFARLAND @ Gear Music: Canada's Best Online Music Store! Matt McFarland began playing drums at the age of 18. He felt that studying with great teachers would make up for any lost time. An extensive musical background in Piano and French Horn aided him in the theoretical study of the drums and teachers like Jeff Salem, Robin Boers and Arthur Hull more than helped in the study of the practical side. By his 19th birthday he was playing the Toronto circuit with local bands which eventually led to touring Canada and into the US. While travelling Matt began to develop a desire to teach. At the age of 23 he was teaching under Jeff Salem and helping to write what would later become The Kit drum set curriculum, an educational system focusing on creating a step-by-step process for learning percussion. "The Kit" was released in 2012 and has garnered rave reviews amongst teachers and students alike. 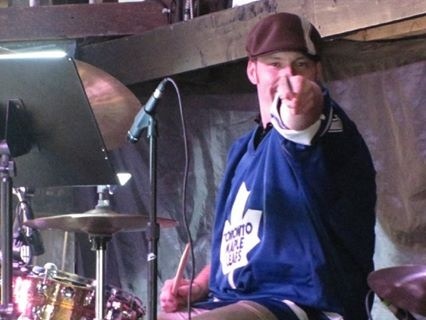 Apart from teaching drum set Jeff and Matt conduct drum clinics all over the Greater Toronto Area. A recent introduction to the percussion arena has been Envirodrum - a percussion-based group focused on preaching environmental awareness while blowing minds with a stellar performance. More recently, Matt has been playing around GTA with the Top 40 band “Tuxedo Stew”. Matt is also a member of Vic Firth’s PDT (Private Drum Teacher) program. This program focuses on creating universal teaching methods and educational material fueled by the educators on the roster. Driven by a desire to learn, teach and play, Matt McFarland remains a dynamic individual in the Toronto percussion community.